Foulger-Pratt Fund Drive - MAKE KIDS SMILE, INC.
Foulger-Pratt, a commercial real-estate company in Rockville, Maryland, adopted Make Kids Smile in the spring of 2011 as its non-profit of the year. 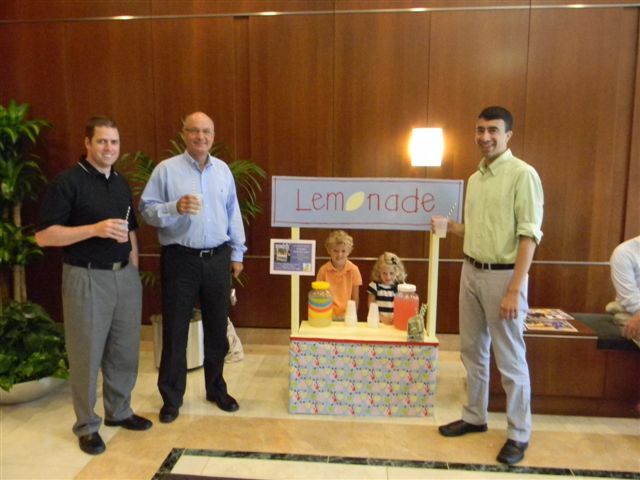 Throughout May and June, the company held numerous fund-raisers, including a car wash and lemonade stand, and raised approximately $17,000! A big thank you goes to the team at Foulger-Pratt for their tremendous efforts.